You are beautiful and I love the red wall!!! Ignore the rude comments, you look fabulous. AHHHHHHH!!! You have a baby in that belly! I love this! You look as beautiful as ever. I can't wait to meet this little (or big) guy! I've totally fudged the due date when I just don't feel like discussing my enormous size with the gas station attendant or grocery store cashier:) Up side though no one thinks your fat; they KNOW there is a baby in there:) I think you are positively adorable and hope your back holds up well. 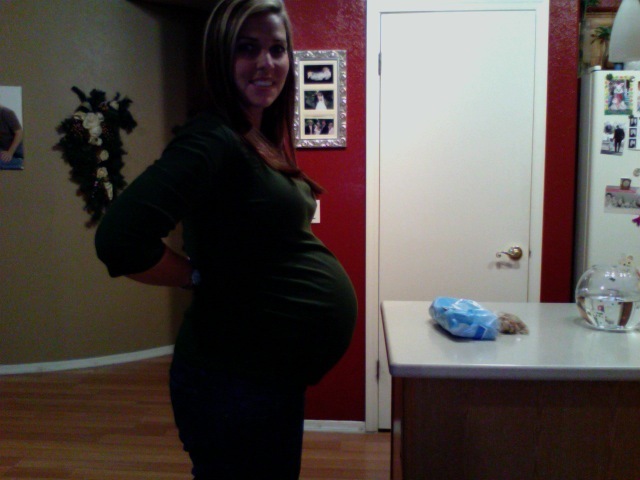 Girl, you are rockin' that prego belly! I love it! Hey Gorgeous Girl! You look HOT! Can't wait for the lil guy to get here. MIss you guys! You look SO good!! Cant wait! !